Addressing the value changes that CMS is mandating takes enormous planning and study. Many oncology practices are grappling with the new programs that the government payer has asked them to adopt. Hackensack Meridian Health in New Jersey has joined the Oncology Care Model and is undergoing these same changes. We asked Andrew L. Pecora, MD, editor-in-chief of Oncology Business Management and chief innovation officer and president of Physician Services at the Hackensack center, to weigh in on these aspects of healthcare reform. 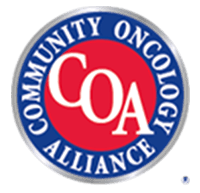 OncLive: Your oncology network, Regional Cancer Care Associates (RCCA), is participating in the OCM. Do you expect much of an impact on cost of care and clinical outcomes? Pecora: The OCM put out by CMMI (The Center for Medicare & Medicaid Innovation) through CMS is a step forward in starting to think about value. Now, this is the first step, so this is not going to be transformative. We’re not measuring overall survival, progression-free survival, time to best response. We’re not measuring incidence and severity of toxicities. We’re not looking at whether or not the drugs cured people. We’re looking at something in between. Did you avoid unnecessary emergency department visits? Did you avoid unnecessary hospitalizations? 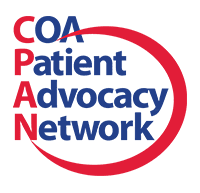 Did you offer patients at the end-of-life access to palliative care instead of continued chemotherapy? So, really, this is the first step to aligning the entire nation with a path of value. I believe there will be some savings, but not substantial. And I really don’t think we’re going to change true, hard-quality outcomes, except maybe a little. No one wants to go the emergency room if they don’t need it, and if you have an alternative— going to your doctor’s office because they’re open later—and you have a care coordinator who gets you in to see the doctor sooner—so that if you’re nauseous, you don’t wind up dehydrated and in kidney failure but in fact you get an IV—those are all good things. But that’s kind of snipping around the edges. It doesn’t go to the core: cancer is complex, the therapies are complex, outcomes are very variable, and how do we drive out that unnecessary variance? Will the monthly enhanced oncology services (MEOS) payments be enough to cover your costs of implementing this program? How will the OCM pay for innovation? Well, MEOS payments are strictly for care management, in essence. And I think probably they’ll be OK for care management. They’re not going to cover the cost of being innovative. They’re not going to cover the cost of doing clinical trials. They’re not going to cover the cost of care redesign. For basic care management—avoiding emergency rooms, navigating patients a little more smartly, steering patients to having end-of-life care discussions sooner than we do today—I think MEOS payments will do that. How is the OCM going to transform operations and the focus at RCCA? RCCA already has value embedded in itself because we’ve already been in value-based contracting. 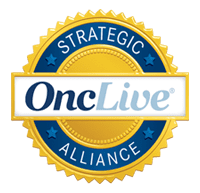 With Horizon, we’re doing bundles; with Cigna, we’re doing the Oncology Medical Home; with Aetna, we’re doing a version of the medical home; with UnitedHealthcare, we’re doing their plan. We already have this in our culture, so the OCM is not really going to change us all that much. But for most practices in the country, it will be a big step forward. Right now, the focus is a patient walks into the room, they have a problem, your job is to fix it. When they leave the room, it’s no longer your job, and patients get lost in that period of extended care. This will take it a step forward and project the oncologist, and their office into the additional portion of care. What has been challenging about getting ready for the OCM? I think the biggest challenge, for all of us, is figuring out what precisely does CMS want and how does it define things. It’s not clear yet. What we’re supposed to be reporting, certain definitions are not clear. But in fairness to CMS or CMMI, they haven’t made it clear yet. They’re still in the process of getting that done. CMS Acting Administrator Andy Slavitt has expressed doubts about MACRA (the Medicare Access and CHIP Reauthorization Act (MACRA), which was supposed to be an improvement over the Sustainable Growth Rate (SGR) formula. Well, getting rid of SGR is a clear improvement. MACRA and its implications, it’s just going to take a little more time. Here’s the fundamental problem: it sounds obvious, but it’s obviously not obvious. Doctors have a day job. They get up, it’s 5 in the morning, 6 in the morning. They have to go to work. They take care of—particularly in cancer—critically ill people. They’re lucky if they have lunch. Then they go home at night, and then they have families and lives and not a whole lot in between. So, change at this level, where do you fit it in? It’s not like they are administrators where they can schedule meetings. A patient gets sick, someone shows up in the emergency room: “I can’t walk anymore!”; “I can’t move my arm!”; “I can’t breathe!” That’s medicine. I think that there’s a real lack of appreciation of that. Having said that, there’s nothing wrong with MACRA. What feedback did Hackensack Meridian give CMS on this issue? I think it’s more queries of what precisely do you mean here? How will this be measured? It was very—I don’t want to say very—there was some vagueness to it; not a ton, but some. CMS is a lot of things; the one thing it’s not is imprecise. If they say “A,” they mean “A,” so we need to understand it. What impacts do you think the Medicare Part B demo will have on health plans, physicians, and patients? Well, Medicare Part B, as I understand it, is a way to try to avoid the usage or over-usage of very expensive medications. I think ASCO has clearly stated the sentiment of oncologists that we do not believe that this is a good idea. We think it’s counterproductive. It’s professionally insulting to suggest that we’re going to pick a more expensive medicine for our patients because we make more money on the margin of that medicine and not because it’s more efficacious. The fact is that most of the new game-changing, groundbreaking medications are expensive, so how do we use those medications—particularly if we’re doing buy-and-bill where we’re taking the risk of thousands of dollars or tens of thousands of dollars of inventory—for a $16 margin. No right-minded business person in the world would accept such an arrangement, so I just don’t understand this. This is where I think we’ve made a wrong turn. Our government has made a wrong turn. As healthcare moves toward integrating data systems and eliminating silos, we still have clinics that haven’t made the transition even to an electronic health record (EHR). What do you think is the barrier? Well, I think the principle reason why those have not gone to an EHR is probably going to be a combination of economics and logistics. It is expensive, and it’s not just the expense of purchasing the EHR, but the upkeep: the transition from paper charts to electronic charts, how it affects your billing and collection. And many physicians and offices and even some hospital systems, they’re at their limit of what they can handle. Their margins have been really compressed to very low numbers, so they don’t have a lot of time. However, I think everyone realizes that the era of paper charts and paper medicine has come to a close. In order for us to coherently move into the era of precision medicine and payment reform, you’re going to have to have access to data. You have to be able to analyze data, and you have to be able to report back on the data you analyze, and the only way to do that is through an electronic record. How important are value tools in today’s healthcare landscape? And do you think physicians—oncologists, in particular—are aware of the existence of these frameworks? I think oncologists are aware of the existence of value-based frameworks. And the problem I think most oncologists have with the current value-based frameworks is they are sort of indirect arbiters of value—value being clinical outcome divided by total cost of care. We’re still going to get to the point where we can measure direct variables, the direct outcomes that should go into value, like overall survival, progression-free survival, time to best response, incidence, and severity of toxicity. When a patient has cancer and they come to a cancer doctor, they’re not thinking about value. They’re thinking about living, surviving, overcoming this thing that could prematurely end their life. And that’s a complex problem, too, because a part of the time, it can be dealt with immediately with a surgical procedure and you’re done. Sometimes you need a surgical procedure or maybe you don’t, but you can get medicines that can cure you. And then many times, regardless of a surgical procedure, there’s nothing that can cure you, but there’s things that can keep you alive longer. So, those are all different scenarios where the value equation, the actual things we measure, are different. But in the context of everyone attempting to get to value, this isn’t the final state. The final state of value will be more in line with how other industries look at value, like Boeing or Apple. That’s where healthcare is going to ultimately wind up, but we’re not there yet.